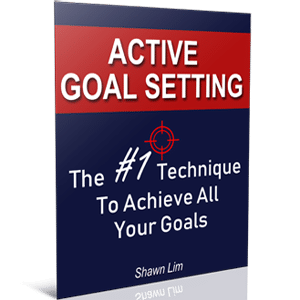 One of the main reasons people often fail to reach their goals is that they don’t track their goals. You have to understand goal setting is not a one-time work where you just write down your goals and then wait for things to happen. No, goal setting is more than that. You need to track your goals in order to make progress to achieve what you want. Yes, Peter Drucker, the famous management consultant said it wisely that if you can’t measure something, you can’t improve it. Take losing weight as an example. What is the first thing you need to do to lose weight? Well, you weight yourself. You do the measurement. And as you carry out your weight loss plan, what do you do? You track your weight. From time to time, you measure your weight. You track how much weight you have lost or gained over time. This is the act of measurement that we need to implement in every other area of our goals. If you want to achieve your goals, you must track them. You must measure them so that you can tell if you are making progress. And if you don’t track them, you will never know if you are moving forward or backward. Plus, measuring and tracking your goals can motivate you. You become what you think about most of the time, right? So if you track your goals, you are programming your goals into your subconscious mind more often. Not just that, when you treat your goals seriously and you track them, you are telling yourself that your goals are important and you are committed to achieving them. This is why you must track your goals. You may or may not have heard about the idea of a bullet journal. Basically, a bullet journal is just a notebook or a journal that you use to track down everything that you do in your life. It is a perfect way to track and measure your goals. If you want to understand the concept of a bullet journal better, read this article from BuzzFeed.com. A bullet journal is not a to-do list, not a planner, and not diary too. In fact, a bullet journal is all of them. It allows you to track your goals, plan for what’s coming, measure your day-to-day operations, and can also work as a diary to record down things. A bullet journal can be used to record down the things you need to do. You can also include “future log” or your goals and dream lists. You can also create a page for your month’s overview as shown above. Again, the concept of a bullet journal is powerful. You should check out the explanation from BuzzFeed.com to learn more about the idea and example. If you think that a bullet journal is way too complicated and time-consuming, you may be right. But you have to know that the choice is in your hand. You can make the bullet journal according to your own taste and requirement. Plus, if a bullet journal is not suitable, there are 4 more other ways to track your goals. This is the old-school method to track your goals. I still remember the days when I use an Excel sheet to create graphs in my schooling days. Although it is old-school, the fundamental is the same and it works. There are many methods how you can use charts to track and measure your targets. Below are some examples. If you are someone who loves numbers, this method will work best for you. Plus, if your goals can be quantified and required a lot of numbers to measure, this can also be a great way to track them. It is easy to create a table and use it to measure your goals. The key is to make the process as convenient as possible so that you will want to use the system for tracking. The use of tables and numbers are more formal and you can find that many companies are using them as well. Graphs can be another great way to track your targets. You can use them to measure your spending, your earnings, revenues, and also growth rate. When it comes to graphs, there are a couple of types. 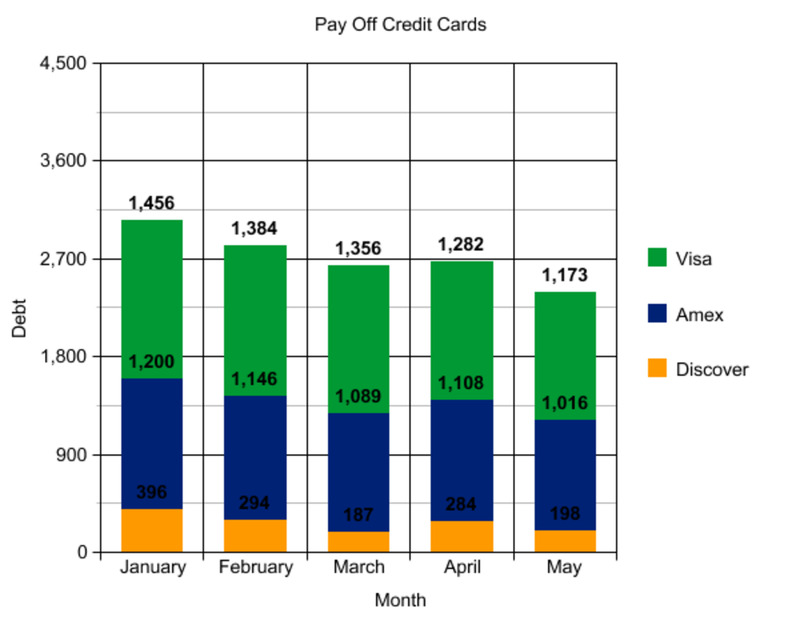 You can create the bar chart, pie chart, histogram, line chart, box plot, etc. 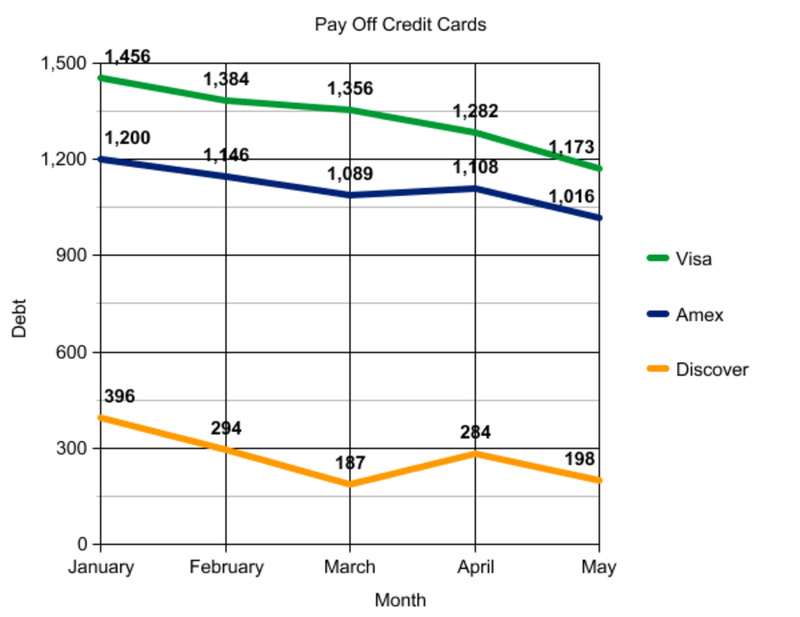 The key is to create a graph that can give you a clear visual of the progress of your goals. Just be creative when you make the graphs. And make sure you have fun and enjoy the process. It doesn’t need to be boring since you are tracking your goals, which are the things that you love to have in your life. I like the idea of Joe’s Goals because it is easy to implement and straight to the point. Take a look at the example above and then craft your own. You can buy some smiley-face stickers from your local stationery and start your tracking using this method. The Jerry Seinfeld Calendar Method is a powerful one. Read my previous article to fully understand this method. Never underestimate the power of this method. It may seem too simple, but it is extremely effective. I’m using this method to track my writing habit and also my savings too. For instance, every day when I successfully write 2,000 words, I will put a big “X” on my calendar right in front of my work desk. I can see the calendar and my progress each day. It reminds me and drives me to want to continue to work and not to break the chain. ToughNickel.com also shares another fun and exciting way to track your goals, which is to gamify it using a tracking puzzle. Find a large photo of your goal, so you can visualize what you want. On the back of the image, draw out puzzle pieces. Cut out each piece and count them. Divide your goal by the number of puzzle pieces. For example, if you’re trying to lose 20 pounds, divide the number 20 by the number of puzzle pieces. If you have 10 puzzle pieces, each piece would be worth 2 pounds. Every time you complete a segment of your goal (like losing 2 pounds), you can add one piece to the puzzle. When the picture is complete, you have completed your goal! 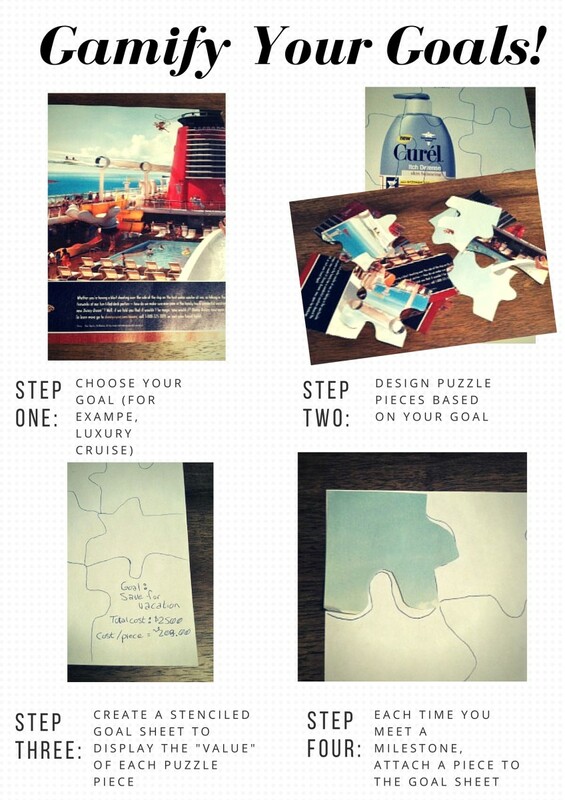 Tracking your goals using a puzzle is fun and engaging. The only downside is that you have to spend some time to create the puzzle. I bet you have heard about Trello and Evernote, both are productivity tools that you can use to track and measure your goals. Of course, there are many more Apps and tools available other than these two that I mentioned. 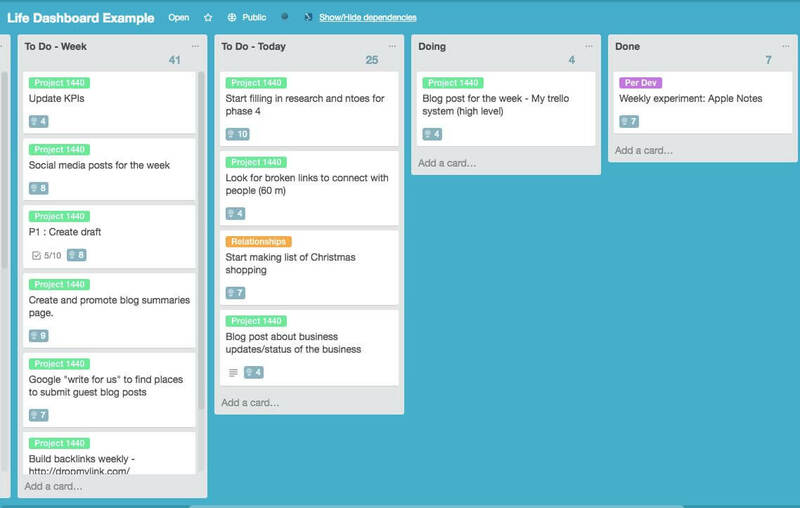 However, as a start, I believe that both Trello and Evernote are powerful enough to get you going. Not only that you can create a to-do list using both tools, but you can also create a tracking system to measure your progress. 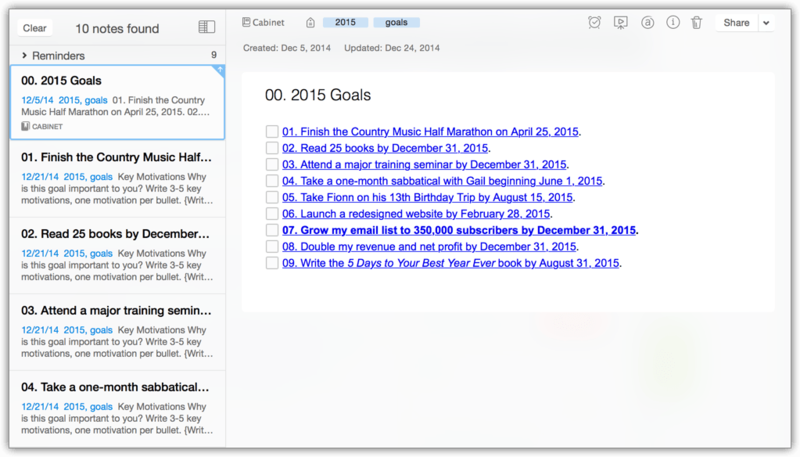 One of my favorite productivity gurus, Michael Hyatt, also uses Evernote. If you are yet to use Evernote, you should definitely check it out. Tracking your goals is extremely important. If you don’t track and measure them, you will never know if you are making progress and you will forget about them. Always remember that goal setting is not a one-time work where you write them down for once. No, it is a continuous progress where you have to track and measure until you get them done. And the key to successful tracking your targets is to make sure that the system you use, regardless of whether you are using a bullet journal or using Evernote, you must make sure it is convenient for you to use. The system should be easy to use and does not take much of your time. You don’t want to spend 3 months to understand how to track your goals, right? Finally, just choose one of the methods above and make it your habit to review your goals on a daily or weekly basis.